And here starts my month in Cambodia! 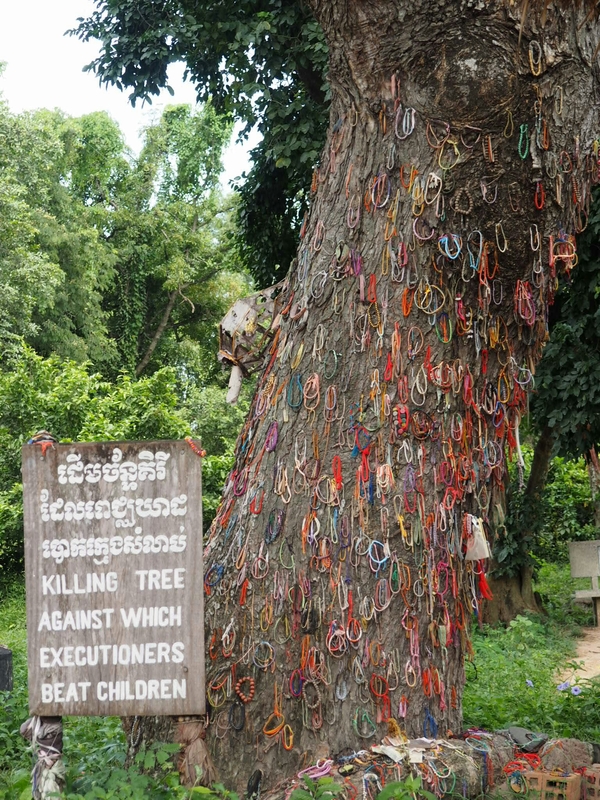 I first went to Phnom Penh with Cédric and we had an insight into Cambodia’s History by visiting the Killing fields and the S21 Prison. It was very hard to see all this horror but also very interesting. We also visited the Royal Palace and the Silver Pagoda. We then went to Kampot which is where Cambodian’s pepper comes from. There we rented scooters to discover the surroundings, eat crab in Kep and drive through Bokor National Park. Following our long Rides, we went to the West Coast to relax on Koh Rong Samloen Island where the beaches are amazing so we enjoyed our private beach at the Mad Monkey Hostel for a couple of days! Unfortunately Cédric had to leave at some point so he went back to Paris and I went to Battambang to relax, see a temple and a cave, take a cooking class, see a Cambodian circus and also have my first experience in teaching English and I loved it! This gave me the idea to spend some time volunteering in a school and I found a great school in Kratie! I spent 10days there and had a great time and the kids were lovely. I also took the time to visit Koh Trong Island and see some dolphins around Kratie. During my time in Kratie I got very lucky to be invited to a Cambodian wedding! It was an incredible experience and a real insight into the culture! To end my trip in Cambodia I went to visit Mondulkiri province with its nice waterfall and temple. And I decided to finish with Ratanakiri province and went trekking for 2 days in the Jungle before crossing the Vietnamese border for my next stop!